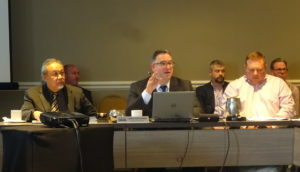 Typically, a body of 30-40 is a “pretty large committee” for the Collision Industry Electronic Commerce Association, Executive Director Fred Iantorno said Tuesday. But a recent series of meetings on how to classify parts within the industry’s neutral software standards have seen around 220 participants floating in and out of the discussion, Iantorno said. 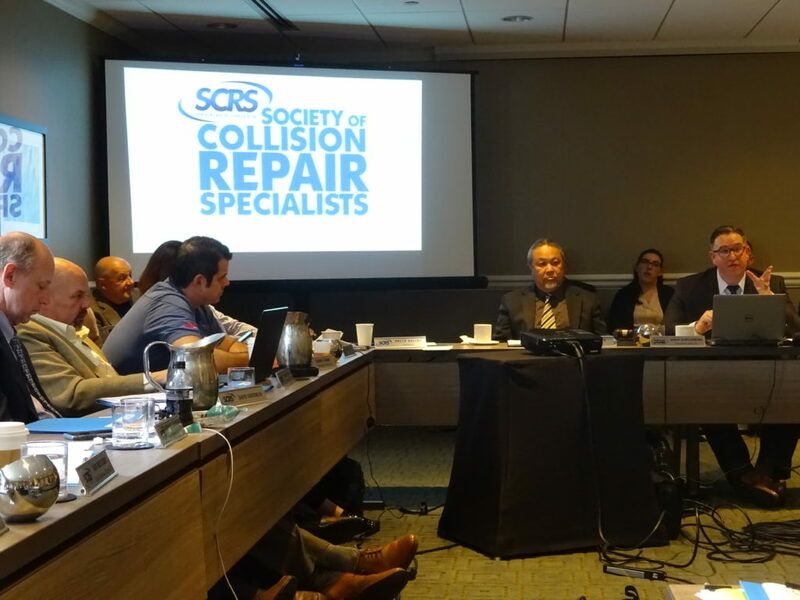 The issue was “a huge topic,” full of interests on “all sides” — not just a mere two sides — Iantorno told the Society of Collision Repair Specialists open board meeting Tuesday. 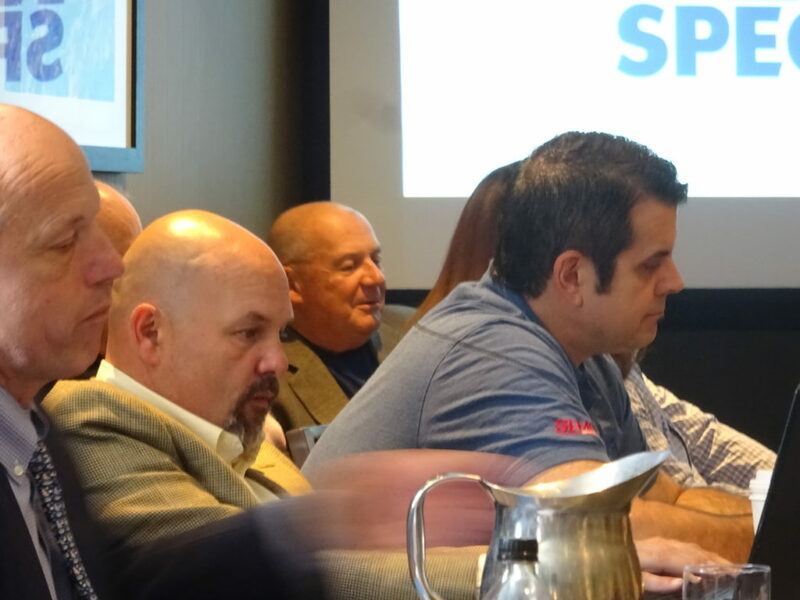 Iantorno and SCRS Executive Director Aaron Schulenburg discussed the contentious issue of categorizing certain subsets of parts on Tuesday, ahead of the topic’s scheduled appearance at Thursday’s Collision Industry Conference. Schulenburg said the Nashville, Tenn., industry summit Thursday will feature presentations by both the CIC Parts and Materials Committee and Iantorno on their respective organizations’ work. “If you are a collision repairer, you should absolutely be present on Thursday to be a part of that discussion,” Schulenburg said. The question of what actually was being sold to repairers and consumers under terms like “Opt-OE” had arisen before but exploded in significance last year. Following a September 2018 California BAR regulation clarifying that nebulous parts classifications like “Opt-OE” shouldn’t appear on repairer estimates — a position the BAR said it already had established — the California Department of Insurance confirmed in October 2018 that there’s no place for them on insurer estimates either. Considering California is one of the most important markets — if not the most important — for a variety of sector, the collective collision repair ecosystem had to confront the topic. 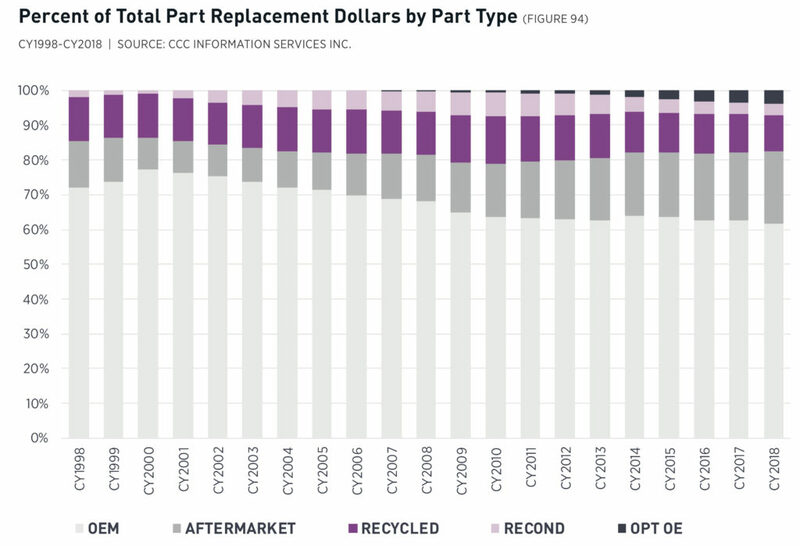 “Opt-OE” parts first appear on estimates in 2007 as a minuscule part of the overall parts proportion, based on 2019 CCC “Crash Course” data. By 2018, they’d grown to about 5 percent. Or perhaps they do, but one industry or another doesn’t want to acknowledge it. Schulenburg, who has been participating in both the CIECA and CIC committee talks, said many different industry segments are trying to protect their business model and how parts are perceived and communicated to customers. “And so you have debate over things that, I think, for many of us, we take for granted that it’s just kind of a known,” Schulenburg told the open board meeting. For its part, SCRS tends to be aligned with the automakers’ perspective, according to Schulenburg: “An OEM part is a part that was made for or by a manufacturer, it comes in manufacturer packaging, it comes from an authorized supply channel, such as a dealer, and it would come with an OEM warranty,” he put it Tuesday. If a part didn’t meet all four criteria, it was a “bit disingenuous” to call it OEM for a consumer, Schulenburg described SCRS’ view. But Schulenburg said a different business model — a “completely legitimate business model” patronized by some SCRS members — bought and sold parts outside the authorized channel. But if the part isn’t supported or warrantied by the manufacturer and can’t be validated as meant for a particular market, “what do you call that part?” Schulenburg said. Do you call it OEM third-party, gray, aftermarket or something “entirely different” that at this point lacks a name, he put it to the audience. Schulenburg described the situation as reminiscent of 2011, when the major industry trade groups all formally recognized OEM repair procedures as the standard of repair. Body shops already knew that, but had nothing official to point to supporting the view, according to Schulenburg. “I think that’s a bit of what we’re faced with here,” he said. Schulenburg described hour-long calls at least once, sometimes up to three times a week, during the quarter on parts definitions. The “level of involvement and engagement” on the meetings demonstrated how important the issue was to many people within industry, he said. “It’s been a topic that has taken a lot of time and consideration,” he said. He said people are “very protective of their model” and want the term to validate their position. Iantorno said that 10 one-hour CIECA committee meetings have already produced some “meaningful dialogue” but it would be a “long slugfest.” CIECA sought to make sense of the issue and find consensus. “It’s gonna be a challenge for everyone. so don’t lose heart,” Iantorno said.